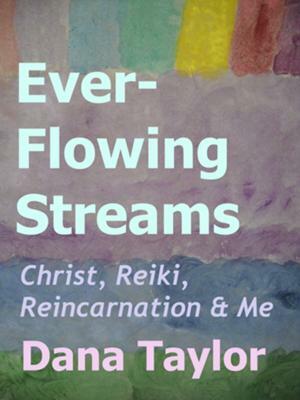 “Ever-Flowing Streams” chronicles one woman’s journey through the seemingly disconnected avenues of Christianity, the Japanese healing system of Reiki, and past-life therapy. While living a middle-class, conventional life, the author is drawn to the healing prayer wave of the 1980’s. 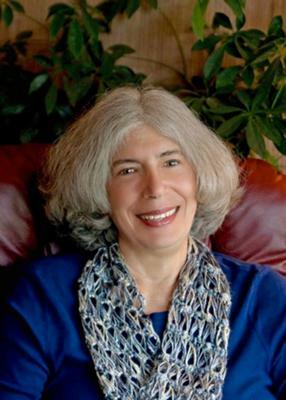 Seeking a healthier life and answers to a recurring medical mystery, she goes beyond the boundaries of the church to study the emerging mind-body-spirit movements of the day. In 2005, an encounter with a Reiki therapist changes her life and challenges her belief system. How does a “good Christian woman” reconcile life experiences that contradict church doctrine? Ultimately, the book deals with the power of prayer and includes exercises for readers to explore their own healing possibilities. I am honoured to have had an early read of Dana's book Ever-Flowing Streams. I love the honesty of Dana's story. The way she recounts that she had to set aside some prejudice to become a Christian and then has had to deal with finding herself at odds with some of the doctrines of the church whilst remaining within it. She is, to my mind, someone who is listening to the still small voice of God and is more interested in receiving and expressing the love of Jesus than in "the traditions of man" - the conventions that can limit us to following the letter rather than the spirit of the law. "Whatever message Jesus delivered that evening couldn't be grasped by my conscious mind. I've always hoped he reached me at a deeper level. Eventually, he released my hands and drifted up and away. I smile at agnostics arguing about the existence of God or a spiritual realm. Jesus has held my hand, filled me with his power and love. No rational, non-believer can cancel out that experience. There is a Creator and He cares about me." Whether or not you agree with or relate to Dana's experiences, there is something here for anyone who is committed to being willing to be guided by God to a future unlike their past. Click here to buy this book on Amazon or read more about it. With thanks for any purchases. I get a small commission which goes towards running the site. There is no difference in price to yourself and you get the latest Amazon prices. 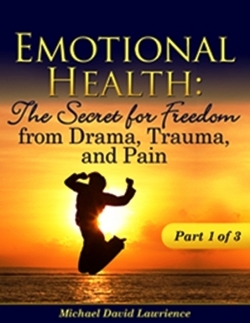 A book which teaches you how to identify and change the negative beliefs behind illness. Psychologist Henry Grayson has found that everybody desires a healthy and happy life, yet virtually everyone subconsciously feels they don’t deserve it. This unconscious mindset has a direct negative impact on our ability to prevent and overcome ongoing illness and unhappiness. Henry Grayson has been able to release the effects of negative beliefs, various types of remembered and unremembered traumas and our unconscious downloads which result in keeping us unhappy and sick. I heard Dr Henry Grayson give a live chat where he answered questions on the book – Use Your Body to Heal Your Mind. I found him delightful, compassionate and knowledgeable. He draws on many years of experience both as a medical doctor and on applying his healing techniques on himself and others. He has many remarkable stories of miracles. I will receive the book shortly and look forward very much to receiving tips on identifying and overcoming negative beliefs behind illness. A guide for living skillfully with both health and life challenges. It offers easy-to-learn but powerful tools and practices for maintaining equanimity and finding joy in the midst of profound life disruptions. 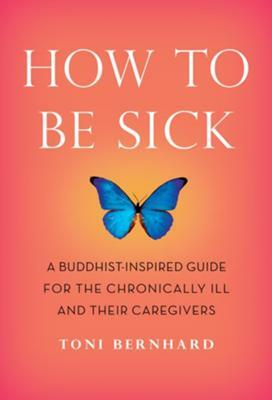 The book is Buddhist-inspired but is non-parochial; it is intended to help everyone. Note from webmaster, Katherine T Owen. I have been aware of Toni and her book for a while now, as we are both in some facebook groups for people living with the illness M.E. I balked at the title at first. living with ill health - it has the word health in it to keep our focus on what we want. 1. With a website, people find you based on the terms they type into the search engines, and people naturally type in words relating to illness. After all isn't that the problem - that we are living with illness. But hey we are still living aren't we. It may not feel like it if you feel very ill, and can't do what you want to do, but if you are here on this site, then you are living, and the chances are you are probably engaged in keeping yourself positive and looking for ways to live productively with illness and perhaps even to get better. Sounds like living to me - hope, determination, the willingness to take action. Wonderful stuff. 2. I want to communicate clearly that it is OK to be ill. This is a site where you can be absolutely wonderful and be ill.
You don't have to wait to get better to be of value. You are of value right now. Anyway, I know from checking with Toni that she feels her message is very much in line with that of this site. I have read the wonderful testimonials for her book which lead me to think that knowing your value, and finding life within illness is very much the message of Toni Bernhard's book. Besides, "Buddhist inspired" suggests to me that the book will be coming from a place of acceptance of suffering and guidance on opening to the reality of Oneness beyond the suffering. When Toni tells us "How to be sick" she is saying the same thing as my saying "It's OK to be ill"
This makes me think of a whole new story to tell you, but the oven is beeping and my food awaits! I wish Toni Bernhard so much luck with her book. May it bless many and help them find gifts in a time of illness. With thanks for any purchases, as I get a small commission which goes towards running the site. There is no difference in price to yourself and you get the latest Amazon prices. Books about Myalgic Encephalomyelitis, Books about CFS, Health Books, Living With Illness Books. I was so moved by your comment that I shared it with Tony right away. Just to know that my book has given you hope and a new way to look at life makes all the hard work and toll it took on my health worth it. Those tears you shed were tears of compassion for yourself -- at last! Thank you so much for taking the time to give me this feedback. Here's the link to an article I wrote on what I've learned from 10 years of illness. I bought the book How to be sick a few weeks ago, i am so glad i did, its helping me to accept that it ok to be ill, and its not my fault. I felt really inspired and im refering to it on a daily basis. There are so many lovely quotes, I am sure like me many of you have piles of self help books, (none of which helped) but this book came at a time i most needed it. I am now agrophobic and only leave the house for medical appointments, with the help of Diazipam, and have severe ME. This book has made me belive i can have a life of some sort. i actually cried when reading it as i dont think i have mourned the life i had before. I have found beauty in very small things that i would not have even noticed before, I now intend to awake every day and find a reason to be greatfull for life, however painfull that life may be, I have four wonderful grown up children who have kept me going, Without doubt. At my very worst when i was bed bound i wanted to die, and it was knowing the pain they would suffer prevented me from doing something stupid. I urge anyone who needs inspiration to get this book, and knowing that she has felt the pain we feel makes you feel less alone. Thankyou Toni, i think it took your book to turn my thoughts into living, as opposed to dying. Thank you so much for this wonderful review. I am sure it will encourage others in your situation to buy the book and know that they are not alone. people in touch with the site with severe ME are struggling to motivate themselves to live. Please know that when we let God into our hearts and minds we are doing something of far greater value than anything we do with our bodies. I found it hard to see strength and value in myself when I had severe ME, but I find it so very easy to see the strength and value of the beautiful people who contact the site. Part 1: Improving emotional health, ease pain, heal yourself, healing physical/emotional abuse, facing our fears, & stabilizing our minds. Part 2: Empowerment from codependency, care for yourself, healing physical pain, causes behind physical pain, & healing self sabotage of our success. Part 3: Making conscious choices, path of the heart, paths of service, global paradigm shift, & spiritual awakening. Are you ready to release your physical and emotional chronic pain, suffering, and emotional distress? Move from Self Help Methods to Release Physical and Emotional Pain to an article by this self help healing author on Treatment For Chronic Fatigue Syndrome.